Need help with your Multimedia Design? 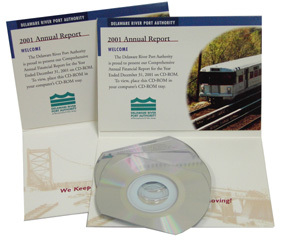 Triple Disc 's Multimedia Design Team can help you? Call 540-899-3981 or click here to find out more about our Multimedia Design Services. If you just need CDs and nothing else Triple Disc can help! Call or email your sales representative about custom packaging options and our professional graphic design and multimedia production services. We look forward to helping your next project become an on time success. · One hour of Preflight check on all Artwork. · 3 Pantone Colors Silk screened onto the CD. 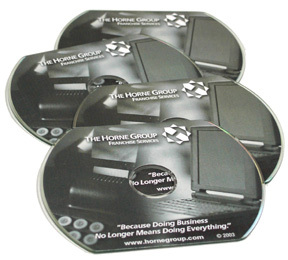 · Insertion into a clear protective vinyl sleeve only $0.15 per disc. · Black Thermal Imprint printed directly to the CD . 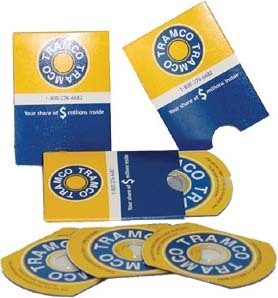 Triple Disc Business Card CDs in Cardboard. Call 540-899-3981 or email us for details.